← Oxford Street Christmas Lights. French born Marant was destined for a career in fashion as her German mother was the director of Elite model agency. Originally harbouring dreams of becoming a vet, she launched her fashion career in 1990 with Twen, a knitwear collection, collaborating with her mother. Having studied at Studio Bergot, the Paris fashion college, she set up her studio in 1994 in the Marais district and opened her first store in the Bastille district in 1998. Known for her star ‘i’ logo she launched a more accessibly priced line ‘Etoile’ in 1999. Her high street collection for H&M, originally showcased in Paris in September, launches in London on 14 November. Her rock’n’roll, relaxed handwriting is often seen on models including Kate Moss, Alexa Chung, Miranda Kerr and Elle Macpherson. Miranda Kerr in Isabel Marant. (photo- Rex Features). Elle Macpherson in Marant. (photo – Rex Features). 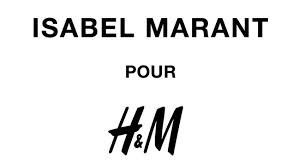 Isabel Marant for H&M will include an exclusive menswear collection. The launch event in Paris was a sell-out and is expected to be one of the fastest-selling H&M collaborative collections since the start of the initiative in London. This entry was posted in Art & design, biker jacket, celebrity, coats, cosmopolitan, Culture, Dress, fashion, fun, Jacket, key trends, Knitwear, Leather jacket, lifestyle, london, Luxury brand, new, new season, Paris, Publications, shoes, style, Uncategorized, work, worklondonstyle and tagged celebrity lifestyle, Elite model agency, Elle Macpherson, H&M, Isabel Marant, Isabel Marant pour H&M, Kate Moss, london, Miranda Kerr, must have, new season, Paris, ways to wear, work, worklondonstyle. Bookmark the permalink.